This article is an attempt to assess and characterize the roles of contact phenomena, imperfect learning, fossilization, and vernacular universals in the development of the two languages of the Finnish Americans. This requires a fair amount of backgrounding, and therefore sections 1-5 serve mainly as background for the assessments and arguments we present in sections 6-8. We argue that the locus of language contact is the speaker, or the language-using individual, and we are therefore proponents of an approach to language contact where results from second language acquisition (SLA) research are highly relevant (cf., for instance, Weinreich 1953: 1; Siemund 2008: 4). To explain the differences between more or less codified standard (acrolectal) varieties and vernacular (basilectal) varieties of American English and Finnish, we draw not only upon (substratum) transfer but also upon the strategies, processes, and developmental patterns that second language learners usually evince in their interlanguage regardless of their mother tongue. There is wide agreement among researchers in SLA that there are two basic prerequisites for acquiring another language: first, sufficient intelligible input, that is, the learner must hear the language spoken a lot and be able to make sense of what s/he hears; and second, motivation to learn the language. Without these two, language acquisition will not take place. Of course there are a host of other factors that affect SLA. There are social factors pertaining to the interrelationships between the language-learning group and the target language group, and psychological factors pertaining to the personality, aptitude, and cognitive style of the learner. And although another language can be acquired at any age, the age of the learner makes a difference. The adult learner makes a greater use of her/his reasoning ability than a child does, and the fact that s/he already knows one language is significant in many ways, some of which promote learning and some of which interfere with it. Apart from a very few exceptions, the adult learner will not achieve a native-like competence in another language. It is generally held that SLA is a cognitive process and that the learner’s use of the new language is systematic from the start. Another way of saying this is that his/her expressions are governed by a grammar – not the same grammar as the one native speakers have in their heads, but a grammar all the same. The learner invents this grammar by drawing conclusions from the language data s/he is exposed to and puts it into practice when using the language. If her/his hypothetical rules work, they stay in the grammar. If they do not work,s/he modifies this grammar on the basis of his/her experience. Through this continuous modification, deletion and addition of rules, the learner’s grammar, or her/his interlanguage, approaches that of the native speaker. It should be noted here that the terms “grammar”, “drawing conclusions”, “hypothetical rules”, and “modify” refer in this context to implicit, largely subconscious processes and products. Learners are by no means claimed to analyze their linguistic input explicitly, like trained linguists. But SLA does not go on throughout a person’s life. Sooner or later s/he gets to a stage where s/he feels s/he knows enough of the target language for her/his communication needs. S/he then stops learning, no matter how conducive to learning his/her environment continues to be. This is called fossilization. Her/his competence in the language freezes, as it were, or fossilizes at the level it had reached by the time the person lost his/her motivation to learn more. As Selinker (1972) puts it, the typical outcome of adult SLA is not a native-like competence but “what we might term entirely fossilized interlanguage competence”. Even more interesting from the point of view of this paper is Nemser’s (1971) observation: “Stable varieties of approximative systems are found in immigrant speech, that is, the speech of long-time users of a target language who, often having attained considerable fluency in this language, have yet obviously reached a plateau in their learning.” This happens at different stages of learning with different individuals, depending on numerous social and psychological factors, such as the social position of the ethnic group in the mainstream society and the individual’s motivation and perceived communication needs. The reason why not only an applied linguist but any linguist interested in contact linguistics should have developed an interest in Finnish immigrants’ language situation was already implied in the above quotation from Nemser. The English speech of long-time Finnish users who immigrated to the United States in the early decades of the 20th century provides a unique perspective on spontaneous, naturalistic adult second language learning. Having arrived as relatively unschooled adult learners with no previous theoretical notions about language, they were left to their own devices to figure out, on the basis of the language spoken around them, how English works. Figure 1. 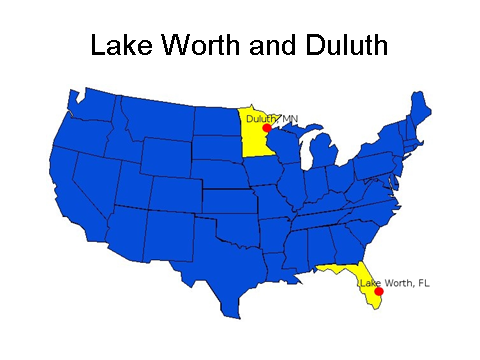 A map of the United States of America with the two locations, Lake Worth in Florida and Duluth in Minnesota, where Pekka Hirvonen interviewed his American Finnish informants in the late 1970s and the late 1980s, respectively. Pekka Hirvonen of the University of Joensuu spent the academic year 1979-1980 in Palm Beach County, Florida, collecting research data in the Finnish community. He conducted interviews, in English, with some 50 informants. His main target group was the oldest living generation of immigrants, Finns who had come to the United States as young adults (at about 16 to 25 years of age, mostly) at the beginning of the 20th century and had moved down from the north much later to spend their retirement years where it was warm. In their 80s and 90s at the time of the interviews, with some sixty years of language contact behind them, these people had certainly had time to learn all the English they had ever found worth their while to learn. It was therefore fairly safe to assume that their English was fossilized. Thus, a study of their English was to be oriented towards the end-point of their second language learning careers, i.e., the main concern could not be with the dynamics of ongoing interlanguage development (as is the case in studies of beginning language learners) but with the level of attainment reached when their language ­learning process had run its due course and come to a standstill. The interviews were largely biographical – not unlike the oral histories often used in immigration history research. They were done at the informants’ homes and were quite informal; Hirvonen did have a set of prepared questions at hand, but only as a reminder, not as a tapescript to be faithfully followed. The interviews had two aims: first, to get the informants to talk freely, with their attention on the content of what they were saying, thus producing a representative sample of their English; second, to get relevant background information that might be of help in explaining the informants’ varying proficiency in English. Among the topics covered were the informant’s date and place of birth, age on entry into the United States, and schooling in Finland and in the United States. There were also questions about the jobs they had had, the places they had lived in, their pastimes, and their contacts with native speakers of English and with other Finns, their language problems and the various situations where they used English and where they used Finnish. They were also asked about their attitudes towards American society and towards the maintenance of the Finnish language and culture in the United States. Patterns of language use within their families were another important topic. The interviews lasted 35-60 minutes and were recorded on audio cassettes. For comparison’s sake Hirvonen also interviewed a number of working-age Finnish immigrants and some second-generation Finns, that is, American-born descendants of Finnish immigrants. For the latter, the questions had to be modified, of course; the main focus was on their childhood and youth, their enculturation, and their patterns of language use inside and outside the family. The numbers and age ranges in these groups of subjects are presented in Table 1. Table 1. The four groups of speakers interviewed in 1979-1980, with the numbers of speakers and their age ranges in each group. The main data used in this article has been gleaned from the corpus described above, which we call the “Florida corpus” (1979-80). The Finnish-American Bilingual Corpus, also called the “Minnesota corpus” (1988-2000), consists of 60 audio recorded and (nearly completely) transcribed sociolinguistic interviews of Finnish Americans: 30 interviews in Finnish and another 30, with the same informants, in English. The first, second, and third generation of Finnish Americans are represented by 10 speakers each. The first generation refers to speakers who were born in Finland and immigrated to the US as ‘adults’ (16+ years), the second generation to the American-born children, and the third generation to the American-born grandchildren of the immigrants. The interviews, 60 to 110 minutes each in duration, were collected in northern Minnesota between 1988 and 2000. The English interviews, conducted by Michael D. Linn of the University of Minnesota, Duluth, have four parts: (1) a personal interview; (2) short responses, to investigate dialectal vocabulary; (3) a read-aloud list of individual words, minimal pairs, and invented sentences; and (4) a one-page story to be read aloud. The Finnish interviews, conducted by Pekka Hirvonen, had five parts: (1) a personal interview, (2) a read-aloud list of individual words and minimal pairs, (3) a picture-naming task, (4) an oral translation of the story that was read aloud in the English interview, and (5) a “Finnish index” questionnaire. All the 30 Finnish interviews and 20 of the 30 English interviews have been transcribed onto computer diskettes. The 20 transcribed English interviews have been stored on CD disks and transcribed with the Transcriber program, which synchronizes the sound signal with the transcription so that the analyst can read the transcription, see the oscillogram and hear the speech simultaneously. The intention is to use the same procedure on the remaining 10 English interviews and, resources permitting, on the transcribed 30 Finnish interviews because it is calculated to make the work of analysis more efficient. In the most general terms, the English of Finnish Americans develops from the broken immigrant speech of the 1st generation into the fully-mastered, native-speaker (NS) English of the 3rd generation, and their Finnish, an agglutinative language, deteriorates from the fully-mastered system of the immigrant generation into the fragmentary, reduced speech of the 3rd generation (language attrition). We are concerned here, then, with trigenerational bilingualism as a series of stages in the linguistic assimilation of Finnish Americans, which inevitably entails the loss of the variety of Finnish used in the speech community and Anglicization among this ethnic group. We note, however, that language shift seems to take place no later than during the 2nd generation of various ethnic groups in the US, with the exceptions of Spanish and Navajo (Karttunen 1977; Veltman 1983; Smits 1996; Klintborg 1999). The evidence from Hirvonen (2001) also supports this; American Finnish does not seem to survive as a viable means of communication beyond the second generation. The second-generation Finnish Americans, most of whom can carry on a conversation in Finnish, are not very numerous either and are typically in their sixties at least. As to third-generation Finnish Americans, they are around in great numbers and of all ages, but their Finnish is typically limited to just a few phrases. Consequently, the kind of American Finnish that the immigrant generation uses is facing language death. The case of the ethnic language being virtually lost to the third generation is certainly not limited to Finnish Americans but applies to most immigrant populations in the United States. Out of the considerable research that sociolinguists have done on the maintenance of immigrant languages, a clear pattern emerges. Let us consider this typical pattern. The immigrant generation will typically go on speaking their old-country language at home as long as they live, and carry on most of their social life in that language. They struggle to learn English, with varying success. Even the best learners usually retain a distinct foreign accent and some other foreign features in their English. But we can say that they are marginally bilingual, as most of them can communicate successfully in English in some situations at least, although their immigrant language is clearly dominant. The immigrant parents will also speak their native language to their children, so that the second-generation speakers usually learn the ethnic tongue as their first language. The oldest child in particular will often not learn any English until s/he goes to school. The younger children often start learning English earlier, from their older siblings. At any rate, during their teen years the second-generation children become fluent bilinguals. Their bilingualism is usually English-dominant: they prefer to speak English to each other, and it is sometimes even difficult to detect any foreign features in their English. But their parents will typically continue to speak the old-country language to them, and they understand it. Whether they answer in the old-country language or in English varies from family to family. As they grow older and, especially, if they move out of the ethnic communities, their old-country language starts to deteriorate from lack of regular reinforcement. In the second generation it is still common to marry within the ethnic group. But even if the spouses share an ethnic heritage, they are usually not comfortable enough in the language to use it for everyday communication with each other. Therefore they will not speak it to their children, either. So the third generation of ethnic Americans will typically learn English as their first language. From their foreign-born grandparents they will often learn to understand the old-country language to some extent, but their own productive knowledge of the language is typically quite limited. It is only by considerable stretching of the term that they can be called bilingual. For an ethnic language to stay alive as a viable means of communication for a longer time than two or three generations would require a continuous influx of new monolingual immigrants, but since the 1924 Quota Act, there has been no such influx, except for Spanish-speaking immigrants. The Finnish language in America is shaped by two main factors: (1) isolation from the development of the language in Finland, and (2) the powerful influence of English, an analytic language, the language of the dominant culture. The former factor causes retention in American Finnish of some forms that have become archaic and fallen out of use in Finland, and also considerable uncertainty among Finnish Americans as to what is “correct.” The latter factor causes mostly lexical innovation in the form of straight borrowing of words and of loan translations, but also, especially in the later generations of speakers, phonological, morphological, and syntactic changes. From the typological point of view, the following generalizations can be made on the basis of the description in Section 4 above. Clearly, the basic pattern is one of maintenance of the ethnic language by the Finnish immigrant generation (‘first generation’) and the subsequent shift from Finnish into English by the second generation. The first generation was characterized in Section 4 as “marginally bilingual.” In comparison with the fluent bilingualism of the second generation, they can also be regarded as non-fluent bilinguals, or as L2 learners with a considerable degree of L2 (English) fossilization (cf. Hirvonen 1988; Pietilä 1989). The characterization of the language contact described above implies that for the immigrant generation, Finnish is linguistically dominant over English, whereas English is socially dominant over Finnish. Using the formalism proposed by Van Coetsem (1988; 1990; 1995), one of the two transfer situations can therefore be specified as sl -> RL (the use of capitals indicates the linguistically dominant language). In this situation English is the source language (sl) and Finnish the recipient language (rl). The RL (Finnish) speaker acts as the agent of the transferring action, and the recipient language is the linguistically (but not socially) dominant one. This transfer situation (‘rl agentivity’) is characterized by lexical borrowing, whereby loanwords are phonologically and morphologically adapted to the patterns of the rl. The levels of phonology, morphology, and syntax (‘morphosyntax’) of American Finnish spoken by the old immigrant generation seem to be, in general, resistant to interference from American English (Martin 1988; Virtaranta 1992; cf. Thomason and Kaufman 1988). All this is entirely predictable because vocabulary, which is the least stable component of the rl, is affected in rl agentivity, whereas the more stable components of the rl grammar (e.g., phonology) are usually left intact (Van Coetsem 1988: 36; 1995: 67-68). The crucial feature is, however, that the first-generation Finnish Americans still maintain their native language. Although American Finnish is a heterogeneous dialect of Finnish, a common core (a set of common lexical, phonological, and morphosyntactic characteris­tics) is still present in all of its varieties and idiolects. As Martin (1988) points out, it is this fact that justifies the application of the name ‘American Finnish’ to all the varieties. With the emphasis on the linguistic outcome of the contact, the kind of transfer type that prevails among the first-generation Finnish-born Americans is therefore best described as a type of language maintenance whereby foreign elements or features are incorporated into a group’s (linguistically dominant) native language (RL) by speakers of that language. The outcome of the incorporation of foreign elements is that “the native language is maintained but it is changed by the addition of the incorporated features” (Thomason and Kaufman 1988:37). This statement implies not only adaptation but also integration. Within Van Coetsem’s (1988:9) framework, adaptation should not be confused with integration: “adaptation is an adjustment to the native rl which does not modify that language”, whereas integration is “incorporation into the native rl of something that modifies that language.” This distinction can be exemplified by the English word stove, which has (at least) two variants in American Finnish: toovi and stouvi. The former follows the Standard Finnish phonological pattern in that it does not allow consonant clusters in native words in initial position (adaptation), whereas the latter modifies the rl phonological pattern by retaining the sl consonant cluster (integration). Since Martin (1988) demonstrates that the phonological and morphological patterns of many features incorporated into American Finnish deviate from standard Finnish, we may conclude that those features are integrated into, rather than adapted to, the recipient language. In the second of the two transfer situations of first-generation Finnish Americans, the interference from their native Finnish in their acquired English begins not with vocabulary but with sounds (phonology) and (morpho)syntax. This pattern of interference, SL -> rl, is characteristic of language shift (‘SL agentivity’ or ‘imposition’; Van Coetsem 1995: 65-66). As Thomason and Kaufman (1988: 145) suggest, (interference through) shift can also be used to refer to situations involving second language acquisition where learners demonstrate imperfect learning as they study a second language, although “they may not actually shift to the TL [i.e., rl].” The authors further state that learners’ errors are to a considerable degree comparable to “shift-induced language change”. Evidence from the English spoken by first-generation Finnish Americans demonstrates that the phonological and morphosyntactic patterns often deviate from standard (American) English in the manner typical of ‘learner language’ or interlanguage (cf. Pietilä 1989: 152-189; Hirvonen 1988). This corroborates the view that the immigrant generation can also be regarded as learners of English. Table 2 below sums up the predictions that can be made about the linguistic levels affected by the two transfer types, maintenance and shift, in the transfer situations of first-generation Finnish Americans. Table 2. The two transfer types and the linguistic levels predicted to be affected by interference in the (American) Finnish – (American) English language contact among the first generation (Lauttamus and Hirvonen 1995: 59). The attributes ‘strong’, ‘moderate’ or ‘unclear’, and ‘weak’ refer to the degree of the predicted interference. The column ‘maintenance’ represents the levels affected by interference from English in Finnish. As noted above, it is primarily the level of vocabulary that is affected in the transfer situation described as sl —> RL. In contrast, the column ‘shift’ represents the levels affected by interference from Finnish in English. The English spoken by the first-generation Finnish Americans is primarily affected in its phonology [+], to a lesser extent in its morphosyntax [±], while lexical interference is only weak [-] (cf. Pietilä 1989: 135, 190-201; Lauttamus 1990: 36-44; 1991: 35). That lexical interference from Finnish in English is weak could be explained as follows. The restricted variety of English spoken by the immigrant generation is almost invariably used for out-group communica­tion only. Given that (American) English is socially (but not linguistically) dominant over Finnish, massive lexical interference from Finnish would therefore be detrimental to successful communicati­on with monolingual English speakers. The expected direction of lexical interference is thus from the socially dominant language into the socially subordinate one (Lauttamus and Hirvonen 1995: 60). Lauttamus and Hirvonen (1995) argue that from the synchronic point of view, the transfer situation SL -> rl described above, along with other comparable interlanguage situations, contains features of shift with interference. A distinction must be drawn, however, between the synchronic description of the transfer situation and the actual outcome of the shift. As evidenced by Lauttamus and Hirvonen’s (1995) description, second-generation Finnish Americans generally shift from the ethnic language into American English during their teen years. This enables them to become fluent bilinguals and achieve a virtually native-like competence in English (cf. Martin 1988; Pietilä 1989). Given that there is no evidence of any extensive Finnish interfer­ence in the English of the shifting speakers, we are led to conclude that the second-generation Finnish Americans represent a typical case of shift without interference, viz. that of “urban immigrant groups of European origin in the United States” who maintain their own ethnic languages for the first generation, while their children and grandchildren shift into the English of the community as a whole with hardly any interference from the original languages (cf. Thomason and Kaufman 1988: 120). Phonological adaptation, which is not to be confused with interference (or transfer), is a typical phenomenon in language maintenance. In Table 3 we present examples of the phonological adaptation of English loanwords in American Finnish. Table 3. American English words adapted to American Finnish and their equivalents used in Finland Finnish. Examples such as these can be found not only in the corpora collected by Pekka Hirvonen but also in Sahlman-Karlsson (1976: 44-98) and Virtaranta (1992; 1993). When (near-)monolinguals, such as most elderly first-generation Finnish Americans, learn a loanword such as bathroom, a total or practically total phonological adaptation will take place in the sound structure of the newly adopted Finnish (RL) lexical item, resulting in a variant such as paattumi (17), and the word will be integrated into the grammar of Finnish (RL) as well. The morphological integration into Finnish is made possible by the addition to a noun of a stem formant such as –i, which is an obligatory element to enable case-assignment rules to apply. We also note that the addition by Finnish speakers of the stem formant /a/, as in paana (1), or /y/ as in kääsy (3), facilitates not only case assignment (as in paan+a+ssa [inessive] ‘in a barn’) but also the pronunciation of the inflected word. Suomi et al. (2008: 59) point out, however, that now the stem formant in loanwords is invariably the phoneme /i/ in Standard Spoken Finnish (SSF). Many of the lexical items listed above suggest that the English voiced stops /b, d, g/, as in (1, 2, 3, 5, 13, 17, 18, 26), undergo phonological adaptation; the Finnish equivalent is invariably a voiceless (and phonetically unaspirated) stop, as in Fi paana vs. AmE barn. In Finnish all the stops are voiceless, except for /d/, which is classified by Suomi et al. (2008: 33) as a ‘voiced semiplosive’, the distribution of which is limited. However, it certainly occurs word-initially in very common loanwords, such as demokraatti ‘a democrat’, diktaattori ‘a dictator’ in acrolectal Finnish (cf. Suomi et al. 2008: 55). Finnish /b, g/ belong to the most marginal group of Finnish consonants; they are used by some speakers of acrolectal Finnish (i.e., SSF) only, and not necessarily in all speaking situations (cf. Suomi et al. 2008: 25). Given that the immigrant generation represents speakers of vernacular Finnish rather than those of acrolectal Finnish, the observed phonological adaptations are fully understandable. Some of the lexical items listed above are also in agreement with the fact that the English sibilants in general are notoriously difficult for native speakers of Finnish to produce, so that in American Finnish they become adapted to the closest Finnish sibilant, /s/, as in (4, 5, 14, 20, 22). Finnish /s/ varies phonetically according to the context it occurs in, so that sometimes it has some of the phonetic properties typical for the English sibilants (Lauttamus 1981). While the English sibilants are usually adapted to /s/ in American Finnish, the English spirants /θ, ð/ are adapted to /t/, as in (10, 11, 17). In Finnish, which lacks the two spirants, /t/ is phonetically a ‘laminal dentialveolar’ (Suomi et al. 2008: 27). English /f/, as in (28, 29), often becomes adapted to v, which is in fact a ‘central approximant’ [ʋ] in Finnish (Suomi et al. 2008: 38). The English affricates /tʃ, dʒ/ become usually adapted to a combination of two Finnish consonants /ts/, as in (8, 9, 26), or to /s/, as in (6, 7). A scrutiny of some of the examples where (American) English has a word-initial consonant cluster (ignoring initial affricates), as in (12) street, (13) trouble, (14) flashlight, (15) sweater, (16) skunk, (30) freight, (31) cucumber, (32) quit, makes it apparent that vernacular Finnish tends to avoid consonant clusters in word-initial position. However, this is not true of many other present-day varieties of Finnish, SSF in particular (cf. Suomi et al. 2008: 55). Some of the lexical items listed above also show a tendency for Finns to apply their fixed word-initial main stress to those English words in which the main stress does not fall on the first syllable, as in (23) Cali’fornia; or (24) e’conomy, (25) so’ciety, and (26) ga’rage, where speakers of vernacular (American) Finnish drop the initial unstressed syllable altogether. To support a potential role of the ‘vernacular’ approach in our analyses, we refer to Fenyvesi and Zsigri (2006: 143). They suggest that less educated speakers of English (such as Finnish Americans), who have usually learnt their L2 via listening, rely on auditory input, whereas more educated immigrant language speakers, who have acquired their L2 also through reading and writing, and, therefore, have been exposed to a more or less codified standard acrolectal variety, rely on visual input as well. The fact that first-generation Finnish Americans have mainly been exposed to spoken, basilectal (American) English is likely to give rise to some general vernacular features, such as the omission of unstressed syllables (cf. Lauttamus et al. 2007: 294). It is also apparent that Finnish Americans sometimes resyllabify some of the English words, such as (18) district, to avoid difficult word-medial consonant clusters, resulting in a four-syllable variant, /tis.te.rik.ki/, instead of two syllables as in the SL. It is rather difficult to assess the extent to which substratum transfer affects an RL in each language contact situation. In general, the impact of an SL on an RL depends on a variety of factors, such as the socio-cultural characteristics of the contact and the structural properties (typological differences and similarities) of the two languages in contact. With an emphasis on the sociolinguistic history of the speakers rather than the structure of the language, Thomason and Kaufman (1988: 35) argue that intense cultural pressure from the dominant language of the community leads to a rapid language shift by a subordinate population. As we pointed out earlier, this is the case with Finnish Americans: American Finnish does not seem to survive as a viable means of communication beyond the second generation. Many of our examples of morphosyntactic interference come not only from Pekka Hirvonen’s corpora but also from the Iron Range dialect of English, which is a dialect spoken by descendants of many different immigrant groups, among whom the Finns form the largest one (Linn 1988). This particular dialect represents shift with interference. It is a foreign-influenced variety of English that developed in a manner similar to that of pidgins and creoles. English became the RL, with the non-English ethnic languages as substratum languages (SL). A pidgin is a contact vernacular, a spoken language used for communication among speakers who have no other language in common, whereas a creole is a language claimed to have descended from a pidgin, having become the native language of the children of a group of pidgin speakers. The majority of Rangers are descended from non-English-speaking ethnic groups, the Finns being the largest group with 13.5%, then the Germans with 11.9%, and the Swedes with 11%. Fewer than 8% are descended from the English or the Irish. The number of languages and dialects spoken on the Range during the settlement period (late 19th and early 20th century) may have been as high as 43 (Linn 1988). The non-English immigrants in the mining locations and lumber camps “desperately” needed to learn English because they had “the hope of, and aspiration for, moving into the main stream of American life” (Linn 1988: 76). Since the mines did not provide formal English instruction, the workers were forced to learn it from their environment, i.e., from each other. As a result, some linguistic features seem to be shared by all, or most, of the different ethnic groups. For example, in a work crew composed of a Finn, a Serb, a Swede, a Russian, and an Italian, each worker would be forced either to learn all of the other languages or to use English as a second language, which would become pidginized (cf. Schumann 1978). The home language used for most social activities was still the native language. The pidginized syntactic features shared by all varieties spoken by first-generation immigrants include absence of the copula, absence of prepositions, double superlative endings, different use of articles, loss of inflectional endings of nouns and verbs, non-English word order, and an extended use of for. (2) They __ still alive and they live in Turku (LL). Absence of the copula be is one of the alleged vernacular universals (Chambers 2004: 128-129). We agree that it can be better attributed to universal properties of the language faculty than to any other factor. It is obvious, again, that first-generation Finnish Americans, who were less educated speakers of English, usually learnt their L2 via listening, and relied on auditory input, whereas more educated immigrant language speakers, who acquired their L2 also through reading and writing, and were therefore exposed to a more or less codified standard acrolectal variety, relied on visual input as well. The fact that first-generation Finnish Americans were mainly exposed to spoken, basilectal (American) English was likely to give rise to some general vernacular features, such as the omission of unstressed syllables and other generally unstressed, and hence perceptually less salient, closed-class items (cf. Lauttamus et al. 2007: 294). Omission of the primary verb be in the progressive is also frequent in the Australian English spoken by first-generation Finnish Australians (Lauttamus et al. 2007: 293-295; cf. Opas-Hänninen et al. 2009: 77-78). (3) Let’s go __ Hibbing. (4) No, I never went __ school…only I just study __ home some time (AV). Absence of prepositions such as to with motion verbs such as go is also frequent in the speech of first-generation Finnish Americans (Pietilä 1989: 172-173) and Finnish Australians, and not only with go but also with come and move (Lauttamus et al. 2007: 296). In expressing spatial relations with motion verbs, many vernacular varieties of English tend to leave out prepositions (cf., e.g., Linn 1988). This suggests that omission of prepositions may be a more general tendency, particularly with motion verbs such as those above, which intrinsically describe movement towards a location. It is also possible to propose Finnish substratum transfer to explain the omission, i.e. lack of prepositions in Finnish (cf. Lauttamus et al. 2007: 296). Of course, the same argument as in (I) can be generalized to explaining the omission of (usually) unstressed prepositions as well. (5) The worstest thing about it. We argue that the over-use of the superlative ending in (5) is a form of overgeneralization, resulting in a deviant structure in the L2. The speaker either fails to identify the exceptional form worst as a superlative or simply uses the double superlative for emphasis. (6) I guess she was __ old maid (IT). (7) I don’t think there was __ dozen houses. Underuse of the indefinite article by Finnish Americans is characteristic of a learner whose L1 has no article system (cf. Lauttamus et al. 2007: 291-292). Pavlenko and Jarvis (2002: 207) show that most of the L1-influenced article errors committed by Russian L2 users of English were omissions and that only a few involved oversuppliance of the definite article, as in (8) and (9). Similarly to Finnish, Russian has no article system. Pietilä’s (1989: 165) data also suggest that most of the article errors committed by the first-generation Finnish Americans are omissions, which Thomason (2001: 148) considers to be among the most common of shift-induced interference features. (8) She is this country born and I born in a Finland (IL). (9) He lives off the Lake Street. (10) He work__ in – he lived in Waukegan, Illinois (AV). (11) You had to stay, some times two, three night__. Finnish Australians also extend the simple present (as opposed to the past tense and the progressive) to describe not only present but also past or future events (Lauttamus et al. 2007: 299). In (10), the loss of the past tense ending can also be interpreted as a slip of the tongue or a false start. Pietilä (1989: 176) reports on the frequent use of the simple present to express past actions in the English of first-generation Finnish Americans. The fact that the present tense is used in reference to past events may also be explained in terms of a more universal tendency found in vernaculars to regularize morphology (Lauttamus et al. 2007: 299-300). The absence of the plural marker –s, as in (11), is frequent in many varieties of non-native English and pidgins, particularly when plurality is indicated by some other linguistic device such as a numeral or verb-subject concord, (cf. Ellis 1994: 151). The noun phrase three night is a good example of redundancy in plural marking. (12) I have been reading all my life English (MH). (13) You play with five cards just. Finnish Australians also demonstrate deviant word order, particularly with adverbials, as in (12) and (13). The pre-object placement of the equivalent adverbial in (12) would be quite acceptable in Finnish, and therefore we argue that it is contact-induced. Learners simply project their L1 structure (native word order potential) onto L2 patterns in constructing their own version of L2 grammar (Lauttamus et al. 2007: 297). Ellis (1994: 657) suggests that when the learner’s interlanguage and L1 word order rules are both more general than the L2 rules, learners of L2 English try to insert an adverb between the verb and the direct object (overgeneralization). Pietilä (1989: 187-188) reports that elderly first-generation Finnish American L2 users of English have rather few word order errors. This suggests that the learner’s L1 has little influence on basic word order, since learners are likely to be highly conscious of it. Pietilä (1989) notes that the most frequent type of error is the incorrect placement of the adverbial. Similarly to Finnish Americans and Australians, Russian L2 users of English also commit L1-based word order errors most of which involve adverbial placement (Pavlenko and Jarvis 2002: 208). (14) I was a painter for a contract (LN). (15) I made it for cheap ’I made it cheaply’. Examples (14) and (15) suggest to us that the extended use of the preposition for could be a case of overgeneralization of English patterns. The preposition for is commonly used in expressions of price and value: ‘I made it for ten dollars’, ‘I made it for a price’, ‘I painted/was a painter for money’, etc. The languages of Finnish Americans offer quite an interesting perspective on language contact phenomena for two main reasons. First, Finnish and English are unrelated and typologically quite different. Second, because of socio-historical reasons, the Finnish immigrants who came to the United States in the Great Wave between the 1860s and the 1920s were not oriented towards assimilation, linguistic or social, at all. Unlike the other Nordic languages, Finnish is not related to English. It is not a Germanic nor even Indo-European but a Finno-Ugric language. Typologically it is agglutinating (as opposed to analytic, well exemplified by English). While an analytic language, such as English, uses prepositions and auxiliary verbs, plus a rigid word order, to indicate the relationships between words, an agglutinating language, such as Finnish, has a freer word order and uses a variety of different endings to indicate the relationships between words. For this, Finnish has fifteen cases for nouns, adjectives and pronouns, lots and lots of verb inflection also, and a very flexible word order. To illustrate the consequences of the typological differences, Table 4 shows two Finnish phrases with their English translations. Table 4. Two phrases to exemplify some of Finnish morphology. As the subject and object functions in the sentence, for example, are indicated by different case endings in Finnish, the word order can be varied quite freely for different emphases without changing the basic meaning. The typological difference between the languages could be expected to protect Finnish from English influence, and as far as phonological and morphosyntactic influences are concerned, it did, all through the first generation of speakers. Lexical influence of English, however, was as massive as in any other immigrant language. But even there, the immigrant generation adapted English loanwords rather thoroughly, so that phonological influence was minimal. In this way the Finnish immigrants were able to develop American Finnish into a workable and maintainable means of communication within the Finnish communities and did not have to worry much about learning English. So what if visitors from the old country viewed it as a mongrel language and disparagingly called it Finglish? It worked fine – for the immigrant generation. American Finnish could have worked fine for the second generation, too, and it did – in their preschool years. But after starting school and beginning to learn English, the children of the immigrants could not see themselves living their lives in the Finnish community. They had to learn English, and they learned it quickly and well. The American school system, the Great Assimilator, showed its power. By their teenage years, the children of Finnish immigrants were strongly English-dominant bilinguals, every bit as much as the children of Swedes or Norwegians. Many of them were ashamed for their parents’ strange home language and broken English; some changed their last names to English-sounding ones (their first names were English to start with). As adults, their use of Finnish was limited to interaction with their parents and older relatives, and not all of them spoke Finnish even there. Those who did, modified it. Besides forgetting a lot of Finnish words, they used English loanwords in a less adapted or unadapted form, approaching codeswitches. Also, English word orders increasingly crept into their Finnish, especially placing the time or manner adverbial before the verb. But that is of minor significance, for the second generation, though still functionally bilingual, by and large, underwent language shift from Finnish to English. The parents and grandparents of Finnish immigrants of the Great Wave had fought and won a bitter struggle for recognition of their native language in their native land as equal to the dominant language Swedish. Consequently, these immigrants were in no mind to give up their cherished Finnish for anything. And they didn’t. Their children did, and their grandchildren became native speakers of American English. Generally speaking, the immigrant generation learnt English quite incompletely, speaking it with a strong Finnish accent and in quite a broken manner. The second generation became fluent speakers of English in their high school days. Though fluent, their speech would sometimes show traces of Finnish substratum transfer, such as the devoicing of plosives and affricates. And the third and later generations are monolingual native speakers of American English. In the Iron Range mining region in Minnesota, the situation was rather different. As the work crews were linguistically mixed, the workers had a greater need to learn English. But since there were few if any native-speaker models available, the immigrant workers had to learn English from each other. The outcome was a pidginized variety of English, which the immigrants’ children creolized into the Iron Range dialect. The Range dialect is a joint product of speakers of dozens of non-English languages. Therefore, although the Finns were the largest language group on the Range, it is naturally very difficult to assign any features to substratum transfer with any confidence. The distinctive, “deviant” features of the Iron Range dialect are more likely to be assignable to processes shared by language acquisition and pidginization, such as simplification, overgeneralization, and vernacular universals. The absence of the copula is most likely to be a vernacular universal, considering that it also occurs, like the absence of the primary verb be, in vernacular native-speaker dialects. For Finnish speakers at least, a contributing factor to the absence of the are form could be its low salience due to lack of stress. The absence of prepositions is probably a case of pidginization or incomplete learning. For some native languages, a contributing factor may be substratum transfer due to lack of prepositions in the native language. Lack of salience due to lack of stress cannot be ruled out, either. Many native languages spoken on the Range lacked articles. It is therefore reasonable to assume that the problems in the use of English articles are mainly due to substratum transfer. As the problems include both omission and overuse as well as confusion between the definite and the indefinite article, we may assume that the speakers had been able to form a concept of the article but had not learned the rules of its use. The loss of inflectional endings is most probably due to simplification. Contributing factors may include pronunciation difficulty, as in “He work _ in…” (example 10 above; note that the speaker produced the correct past tense form “he lived” in the same sentence) In the expression “three night” (example 11 above), there may be substratum transfer from Finnish involved, as Finnish language rules call for a singular form of the noun after a numeral. Non-English word order may often be caused by substratum transfer. Many languages have a word order freer than that of English, and speakers may apply their native-language patterns to English. It needs to be noted, however, that it is quite difficult if not impossible to tell with any certainty at all what processes are involved in interlanguage features. One cannot determine the process by examining the product. Besides, there may often be multiple causation, such as transfer and overgeneralization working together. The language contact between Finnish and English in the United States has led, and is leading, to the inevitable result: Finnish is maintained for one generation, then replaced, in the third generation at the latest, by English. Chambers, J.K. 2004. Dynamic typology and vernacular universals. In: Kortmann, Berndt (ed), Dialectology meets typology. Berlin: Mouton, 127-145. Ellis, R. 1994. The study of second language acquisition. Oxford: Oxford University Press. Fenyvesi, Anna and Zsigri, Gyula. 2006. The role of perception in loanword adaptation: The fate of initial unstressed syllables in American Finnish and American Hungarian. SKY Journal of Linguistics 19, 131-146. Hirvonen, Pekka. 1988. American Finns as language learners. In: Karni, M. G., Koivukangas, O., and Laine, E. W. (eds), Finns in North America. Proceedings of Finn Forum III 5-8 September 1984, Turku, Finland. Migration Studies C9. Turku: Institute of Migration, 335-354. Hirvonen, Pekka. 2001. Doni finished – meni läpi – highskoulun. Borrowing, code-switching and language shift in American Finnish. In: P. Sture Ureland (ed), Global Eurolinguistics. European languages in North America – Migration, maintenance and death. Tübingen: Niemeyer, 297-324. Karttunen, Frances. 1977. Finnish in America: A case study in monogenerational language change. In: Blount, B.G. and Sanches, M. (eds), Sociocultural dimensions of language change. New York: Academic Press, 173-184. Klintborg, Staffan. 1999. The transience of American Swedish. Lund: Lund University Press. Lauttamus, Timo. 1981. Havaintoja suomen ja englannin sibilanttien kontekstuaalisesta variaatiosta. Virittäjä 85(4): 340-354. Lauttamus, Timo. 1990. Code-switching and borrowing in the English of Finnish Americans in an interview setting. Studies in Languages 20. Joensuu: University of Joensuu. Lauttamus, Timo. 1991. Borrowing, code-switching, and shift in language contact: evidence from Finnish-English bilingualism. In: Ojanen, Muusa and Palander, Marjatta (eds), Language contacts East and West, 32-53. Kielitieteellisiä tutkimuksia – Studies in Languages 22. Joensuu: University of Joensuu. Lauttamus, Timo and Hirvonen, Pekka. 1995. English interference in the lexis of American Finnish. The New Courant 3. Department of English, University of Helsinki: Helsinki University Press, 55-65. Lauttamus, Timo, Nerbonne, John and Wiersma, Wybo. 2007. Detecting syntactic contamination in emigrants: The English of Finnish Australians. SKY Journal of Linguistics 20: 273-307. Linn, Mike. 1988. The origin and development of the Iron Range Dialect in Northern Minnesota. Studia Anglica Posnaniensia 21: 75-87. Martin, Maisa. 1988. Amerikansuomen morfologiaa ja fonologiaa. Unpublished licentiate thesis. University of Jyväskylä. Nemser, William. 1971. Approximative systems of foreign language learners. IRAL 9, 115-123. Opas-Hänninen, Lisa Lena, Lauttamus, Timo, Hirvonen, Pekka and Juuso, Ilkka. 2009. ”Happen I not talking good English”: The progressive aspect in the English Finnish Australians. In: Penttilä, Esa and Paulasto, Heli. (eds) Language contacts meet English dialects: Studies in Honour of Markku Filppula. Newcastle upon Tyne: Cambridge Scholars Publishing, 65-82. Pavlenko, Aneta, and S. Jarvis. 2002. Bidirectional transfer. Applied Linguistics 23: 190-214. Pietilä, Päivi. 1989. The English of Finnish Americans with reference to social and psychological background factors and with special reference to age. Turun yliopiston julkaisuja, Sarja B, Osa 188. Turku: Turun yliopisto. Sahlman-Karlsson, Siiri. 1976. Specimens of American Finnish: A field study of linguistic behavior. Acta Uralica et Altaica Upsaliensia 11. Umeå: Almqvist & Wiksell. Schumann, John. 1978. The Pidginization process: A model for second language acquisition. Rowley, Mass. : Newbury House. Selinker, Larry. 1972. Interlanguage. IRAL 10, 209-231. Siemund, Peter. 2008. Language contact: Constraints and common paths of contact-induced language change. In: Siemund, Peter and Kintana, Noemi.(eds.) Language contact and contact languages. Amsterdam: John Benjamins, 3-11. Smits, Caroline. 1996. Disintegration of inflection: The case of Iowa Dutch. The Hague: Holland Academic Graphics. Suomi, Kari, Toivanen, Juhani and Ylitalo, Riikka. 2008. Finnish sound structure: Phonetics, phonology, phonotactics and prosody. Oulu: Oulu University Press. Thomason, Sarah Grey. 2001. Language contact: An introduction. Edinburgh: Edinburgh University Press. Thomason, Sarah Grey and Kaufman, Terrence. 1988. Language contact, creolization, and genetic linguistics. 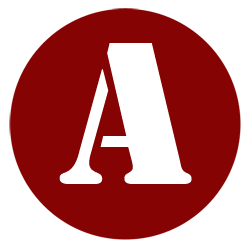 Berkeley: Univer­sity of California Press. Van Coetsem, F. 1988. Loan phonology and the two transfer types in language contact. Dordrecht: Foris. Van Coetsem, Frans. 1990. Review of Thomason and Kaufman (1988), Lehiste (1988), and Wardhaugh (1987). Language in Society 19, 260-268. Van Coetsem, Frans. 1995. Outlining a model of the transmission phenomenon in language contact. Leuvense Bijdragen 84, 63-85. Veltman, Calvin. 1983. Language shift in the United States. Berlin: Mouton. Virtaranta, Pertti. 1992. Amerikansuomen sanakirja / A dictionary of American Finnish. Turku: Institute of Migration. Virtaranta, Pertti. 1993. Sanalainojen aihepiireistä. In: Virtaranta, Pertti, Jönsson-Korhola, Hanneli, Martin, Maisa and Kainulainen, Maia. Amerikansuomi. Helsinki: Suomalaisen Kirjallisuuden Seura, 74-83. Weinreich, Uriel. 1968, 1974. Languages in contact. The Hague: Mouton.